Twenty-five years ago, I finished my graduate work in Oregon and moved to Northern Nevada for a planning position at TRPA. Having spent a large part of my youth hiking and camping at Tahoe and in the Sierra, the move felt like coming home. Today, I am still in awe by Lake Tahoe’s beauty, and along the way I have become even more inspired by the many voices that all share a passion for protecting and enhancing the Jewel of the Sierra. 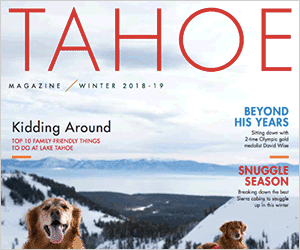 Working collaboratively and from a place of mutual respect, we have and can continue to make positive changes for Tahoe’s environment, economy, and communities. Last year the Tahoe Region achieved many milestones. Having just accepted the position as chair of TRPA’s Governing Board, in my view, the challenge for 2017 is to keep building on that momentum with critically important initiatives to conserve and restore Lake Tahoe’s environment while also revitalizing our communities. Heavy snow is falling this January, signaling some relief for Lake Tahoe’s forests after five years of drought. But this summer will also mark the tenth anniversary of the Angora Wildfire. The fire was started by an illegal campfire and quickly burned 3,000 acres and more than 250 homes. We must not lose sight of wildfire risk and continue to work together to reduce hazardous fuels in our forests and create defensible space and fire-adapted communities. This is not just a critically important public safety issue, but is essential for the health of our forests. A healthy forest means ecologically functional watersheds, better wildlife habitat, and improved streams and fisheries. Fire districts and land management agencies have made significant progress working together as the Tahoe Fire and Fuels Team, prioritizing and coordinating fuel reduction projects to reduce wildfire risk in the most dangerous areas where forests and communities meet. More than 65,000 acres of wildland-urban interface have been treated over the last two decades, and the rest is on track to be treated over the next 10 years. Tahoe Fire and Fuels Team partners last year secured more than $25 million in federal funding for continued fuels reduction work in the wildland-urban interface. We need to keep that work going and extend it out into the general forest landscape. In December, Congress passed the Lake Tahoe Restoration Act after nearly a decade of work on the legislation. It authorizes up to $415 million in future federal funding for projects that will help restore Lake Tahoe’s famous water clarity, remove hazardous fuels from forests, and combat aquatic invasive species. Much work remains to secure that funding, but this legislation is critically important for continued progress on these major focus areas of the Lake Tahoe Environmental Improvement Program. TRPA continues to make headway on its top initiatives. The agency is working with local governments and other partners on a “welcome mat” initiative to coordinate and streamline permitting processes. It is also working on an initiative to improve Lake Tahoe’s unique development rights system. The goal is to help people invest in projects that benefit our environment and the health of our communities and economy. With the four-year 2017 Regional Transportation Plan scheduled to be released soon, one of our largest goals for the coming year is addressing Lake Tahoe’s significant transportation challenges, and finding ways to implement needed infrastructure and transit improvements. With 150 miles of bike and pedestrian routes built over the last 20 years, and major projects like the Fanny Bridge project in Tahoe City on track to start construction soon, our region can make significant headway on transportation issues. Construction also started on the Incline Village to Sand Harbor State Park bike path last summer. The project is building a showcase bike path to one of the lake’s busiest summer recreation areas. But it will also feature new off-highway parking areas, enhanced transit services in the state Route 28 corridor, and water quality improvements to help protect the lake’s water clarity. This shows how we can bundle projects to reduce traffic and parking congestion, provide new recreation amenities, enhance bicyclist and pedestrian mobility and safety, and improve our environment. We must continue to connect and improve routes for bicyclists and pedestrians and improve our electric-vehicle charging infrastructure so people can more easily drive zero-emission vehicles to and from Lake Tahoe. We must also strengthen our transit services so people can travel around the Tahoe Basin and to popular recreation sites without having to drive at all. We face many challenges in the years to come. Fortunately, the spirit of partnership and collaboration is alive and well at Tahoe. And with that spirit of partnership continuing, there is no doubt we can all work together to see even greater achievements that are yet to come. 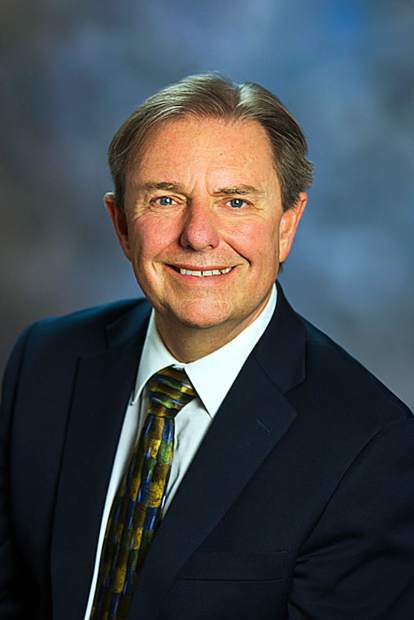 Jim Lawrence, deputy director of the Nevada Department of Conservation and Resources, is chair of the Tahoe Regional Planning Agency Governing Board.